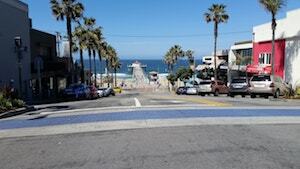 Manhattan Beach, often known as an affluent city and home to several Lakers, Dodgers and Kings, as well as movie stars, is a rather small city. Its population stands at just under 35,000, which is mostly Caucasian and most are over the age of 35. The City of Manhattan Beach is a mostly residential city, although it is close to the aerospace industry centered in El Segundo, Manhattan Beach’s neighbor to the north. Bordering Manhattan Beach to the south is Hermosa Beach, to the east is Hawthorne and Lawndale and to the west is the Pacific Ocean. The most common types of criminal case we see arising out of Manhattan Beach are DUI, shoplifting and domestic violence, followed closely by public intoxication and public urination. Stops for DUI often take place along Rosecrans Avenue going either direction, as well as along Marine and Pacific Coast Highway. The most common reasons for the traffic stop is speeding, although there often are DUI checkpoints set up along Rosecrans every few months. Shoplifting cases most often arise from the Manhattan Beach Mall, for example in Macy’s and Fry’s Electronics. Between these two Manhattan Beach stores, our office has probably handled fifty such cases. Domestic violence matters can happen anywhere within the city and are not clustered in any one area. We then often see an alleged violation of the criminal protective order issued in the course of the domestic violation case. Such violations are most commonly in the downtown area, usually by pure coincidence or staged by the protected party to further prosecute our client. Our office has handled other types of cases arising out of Manhattan Beach, but none are as common as DUI, shoplifting and domestic violence. We have defended public urination matters (several of these cases arose behind the Kettle restaurant), public intoxication and embezzlement matters. Misdemeanor cases from Manhattan Beach all begin in Department 3 with Judge David K. Reinhert, on the second floor, for the arraignment. If the case is not resolved by a plea bargain or diversion there, the matter proceeds upstairs to Department P with Judge George Bird. Felony cases, most often felony DUI and felony domestic violence, also take place and our office has handled such cases out of Manhattan Beach, but they are quite rare. Felony cases arising in Manhattan Beach start in Department 4, also on the second floor, with Judge Thomas Sokolov. If the case is not resolved in 4 (Candace Foy Smith is the calendar DA there), the case proceeds to Department 8 with Judge Nicole Bershon for a Preliminary Hearing. Parking for the Torrance Courthouse is free. There is a large lot just north of the courthouse that rarely fills up. One can also park along Maple Avenue. The Torrance Courthouse no longer has a cafeteria as it once did.